“When a new band states in their press release that their major influences are Steeleye Span, Fairport Convention, Jethro Tull, Led Zeppelin and Pentangle, you might think that they are setting themselves a high bar to reach. However Galley Beggar are well on their way to emulating the greats of the Folk Rock genre. 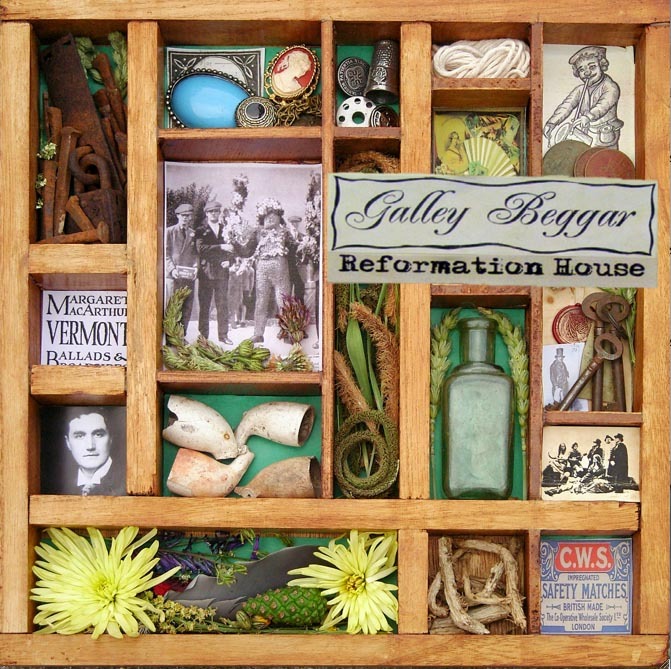 Their first released album, Reformation House, is a collection of traditional folk songs with a spattering of self-penned tracks which bring together rich vocal harmonies and traditional folk instrumentation, all backed with a driving electric guitar. The opening track, a reworking of traditional Ralph Vaughn Williams’ song The Outlandish Knight, showcases vocalist Frances Tye’s superb vocal skills and Mat Fowler’s harmonising, before sliding suddenly into something of an American hoe-down. Of the self-penned songs Galley Beggar have proved beyond doubt that they can write songs that can easily hold their own against the traditional folk songs included on the album, and indeed they wouldn’t sound out of place on one of their aforementioned influences’ albums. Whether taking their influence from the true story of a shipwrecked wedding at sea (Shifting Sands), the traditional theme of doomed love between a supernatural being and a mortal (Rowan – the standout track on the album), or an ode to a mystical summer (the beautifully crafted Sun God which features a wonderful introduction of rhythmic handclapping and acapella vocals) the songs fit seamlessly with the traditional offerings. As well as reworkings of old favourites Restless Sinners and Farewell Nancy, they have also included their take on Sir Richard (now Americana in style, with an infectious country fiddle solo included), Arise Arise and have given False Love an eastern twist, proving that they are not scared to fuse many different musical elements in their attempt to create a vibrant, fresh album.